I read an interesting post about American comedian Jerry Seinfeld. In order to ensure he has enough hilarious material for his routine he believes he must write daily. He works and works on his jokes to ensure they are successful, in terms of making people laugh. He calls his technique “Don’t break the chain”. The idea, and it is one that works for me too, is that in order to get things done (write jokes, or learn a language, or get more proficient at sewing, for example), you have to commit to doing something about it. Every single day. I go the gym every day. Well every weekday. Some people think this shows incredible commitment. Actually the opposite is true. It requires nothing more than setting a habit; a habit that quickly becomes non-negotiable. Like brushing your teeth, going to the gym has the same boring routine to it – on my way to work I call in at the gym for an hour or so. Some days I lift weights or join an aerobics class. Others I swim or do yoga. But I go everyday; I get an early bus, I read the paper, I sometimes Tweet, I do the exercise class, or run on a machine; I take a shower and go to work. I am on automatic pilot to some extent. And my job is a daily discipline too – although I love my work, it is something I do every day in order to earn a living. Picking up socks, getting the shopping on the way home – the point is we already have a group of things we do automatically, without special effort. The trick is to introduce new things into this routine so that they get done without fail. When I started sewing I started with a little every day, usually first thing in the morning. I have time to get dressed, drink four cups of tea, and enjoy, maybe, 30 mins of sewing. Therefore it was inevitable that once I started blogging I would do it everyday. I publish a short post everyday and have done so for around 18 months. Now while daily disciplines are great, so are weekly, monthly and annual ones! Spring cleaning; annual leave; dental checkups; birthdays; Christmas. Periods of time have their own rhythms. Some people sew more in winter than summer; others vice versa. Many are more active outdoors when the weather is fine. I wasn’t really aware of annual rhythms until I discovered the routine created by Artisan’s Sewing Annual Sewing with a Plan challenge. Annually we plan to make our new wardrobe during November and December and construct 11 garments from Christmas to the end of April. This provides a structure that motivates and drives me. While I post daily, I haven’t been writing daily for a while. I write weekends, and then automatically schedule my posts. Sometimes I change the order but I dedicate some weekend time, each week, to writing. Which is fine, as I enjoy writing very much. As much as sewing, as it happens. I don’t always give the writing the time it deserves, and the quality is sometimes lost. I hate those typos and inelegant sentences. This weekend I decided I will post five times a week (skipping Sundays and Wednesdays) instead of seven – blogging will become more of a weekly commitment for me. I will also try to improve the quality of my writing. How do you ensure you get things done? Do you have a list that you tick off? Do you prefer a spontaneous approach where sometimes you are hyperactive, and other times you take it easy? Or are you a “don’t break the chain” type? A post after my own heart Kate. I read that Jerry Seinfeld article too and loved it. I absolutely practice habit building using this method among others. For housekeeping I just dont break chain otherwise our home quickly gets messy. I am also a huge fan of Pomodoro technique – there are about 5 timers around the house. I find that using the timer helps to build up the habit, even if its only 2 minutes to start off. A lot of my friends think I am OCD which couldnt ne further from the truth because being organised actually give me more time to do the things I really love. Thanks for sharing such an insightful post. I take my hat off to you Hila. The yoga helps too! I’ve been blogging since 2008 but use it more as a diary of my sewing projects than a daily discipline. For other things I need to do I often use a timer and also schedule reminders for tasks in my electronic calendar. I think many of the KonMari maintenance things fit with this ethos. 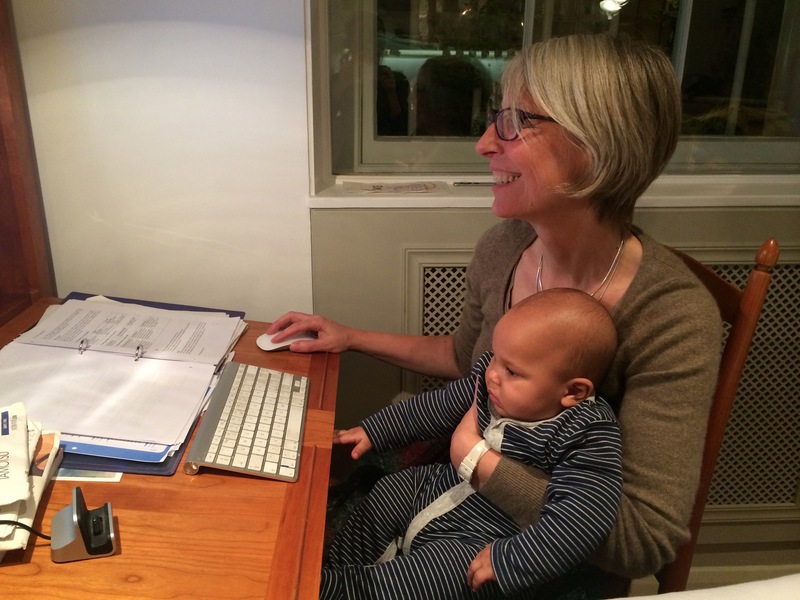 I don’t write as often as you, and if WordPress has a scheduling option I have yet to find it. I sew daily – but that is my job so it isn’t always for myself. Doing things you want is important and if they can be made into habits (without losing their appeal) then that is brilliant. However often, or rarely, you choose to post I will enjoy reading. Thank you Kate, this is a really interesting post. I am a great list maker at work otherwise I know I’ll miss something important and there is such great satisfaction to be had when ticking things off! I’m not quite so strict at home but I expect other people would say different. I think the “don’t break the chain” approach is great and one I may think about adopting. Thank you! Reading that post was a proper light bulb moment for me. I have spells in my life when I go to the gym regularly, every day, and then something happens (like a holiday, or a bad back) and I stop going, and find it very difficult to start again. And that’s it – it’s the routine of it. It’s never an effort to get to the gym when you’ve been every other day that week, it’s starting up again after a break. Not sure how I resolve that, but thank you for helping realise why it happens. I’ve had a life disrupted by frequent emergencies. It doesn’t sit well with plans, however often I make them. That turned out whine-ier than I intended. Regular habits do make for better progress, no dount about that. Oh don’t worry Jay, I didn’t read it like that. Everyone has bad stuff happening at some point in their lives and that will upset even the strongest routines. There’s actually quite a bit of research confirming that the go everyday approach works, especially for things about which we are likely to change our minds (e.g. going to the gym). We take the decision making aspect out of the process, so we are not debating with ourselves each day as to whether we will follow through. And I agree with Hila that organization frees up time for things one loves. I am very organized about some things, therefore, and more free-spirited about others. I think the quality of your writing is very high. It’s useful to “change up” one’s practises though, a bit like experimenting with different types of exercise. It is a fundamental creative practise, I think, in fact. Since I’ve retired, I’ve found it difficult to stick to a routine. All those years of work, which seemed to be a totally consuming process. But I think I need a little more routine now. Posting once a week is all I can handle with the mountain of wedding dresses hanging around here. If I get 20 minutes to ride my exercise bike at the end of the day it is a bonus.Not a great list maker, prefer to keep my brain working hard with remembering and pinning names and dates tor each gown forces me to remember and speed up the sewing as the deadline approaches. Filling in the squares on my paper desk calendar with client’s appointments keeps me on my toes. Keeping the vegetable garden watered and weeded is the other job that drags me out of my sewing room. Retirement may be the key to finding time to read…whenever that comes. Love your posts, Kate but I can’t imagine producing such masterpieces every day! Great post! It totally resonates with me. When I was in my 20s, I was against any routine, working late at night, sleeping late, going to see shows on the spur of the moment, etc. But the birth of my two children forced me to adopt a routine and I finally found it very productive and agreable. Now that my children are bigger (teen and young adult), my routine has evolved into something more personal. I find it essential to achieve all the things I love, including sewing, in addition to my regular job. I don’t know how you do it Kate, just reading about all you fit into a day leaves me feeling exhausted! I must admit that while I always intend to have a regular routine and plan what I’m going to do when, in reality I’m very much an all or nothing person. I’m either running round doing everything, or I’m doing absolutely nothing! Very interesting post Kate. I have the capacity to be very organised doing it all, but equally very easily go the other way. I tend to revitialise my routines in the autumn when everyone goes back to school, rather than the depths of winter (new year), but currently my routines revolve about going to hospital everyday for radiotherapy (breast cancer) and resting sufficently. I generally find that keeping a routine going is great once it is established, but as some else said, starting up again after some kind of break is terrible! Oh gosh Tamsin, I am so sorry to hear that you have breast cancer, but hope very much that the radiotherapy will be a successful treatment for you. My ex husband has cancer and it can be a very difficult time for the family. In the meantime posts like this can seem trite. However I recognise your point about annual rhythms. Certainly for me the start of the autumn term of my evening classes, is always an exciting new beginning. I like this concept – I believe wholeheartedly that no matter how much natural talent you have for something, you can never become really successful without regular practice. For me (at least at the moment), a daily commitment to ANYTHING is a teensy bit of a losing battle, as my work schedule changes from day to day. Therefore despite my love of routine, I’ve had to learn to be more organic in my planning. I’ve learned to be able to have a rigid routine within a liquid schedule, i.e. I commit to minimum 3 yoga classes a week, but the days/times are flexible. I try to incorporate this concept in my personal projects as well, but the trouble with any creative endeavour for me is that I do a creative job, so often I feel so drained at the end of the day, it’s a real struggle to change gears and then pull out some more creativity from an already empty tank. What a lovely, thoughtful comment Amanda. Many thanks. 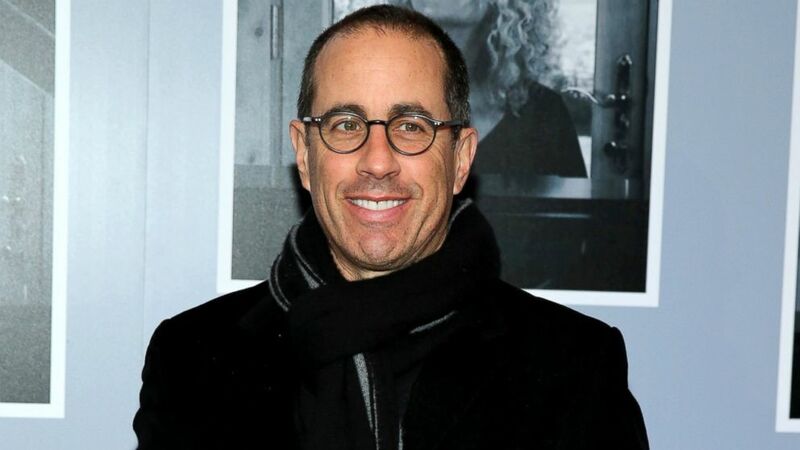 Jerry Seinfeld is my favorite comedian and I have been watching him for over 20 years. The point I want to make is that he has often said that his goal in life was to never “work.” He loves comedy and would do it even if he did not get paid. So I see this topic as two-pronged. On the one hand there are the things we are born to do and love to do, though sadly not everyone is lucky enough or has time enough (because of family, work and other pressures) to have things in their lives they are passionate about. On the other hand there are things we have to do, like work, and I have read many studies that indicate approximately 10% of people love what they do for a living. So saying all of this and with the world as stressful as it is and with so many messages thrown at us through countless media and social media sources, my number one thought is: I just want to live life and not feel so much pressure to get things accomplished. I do try to be productive, positive and keep things moving but I also try to be kind to myself and not push myself too hard and not feel societal pressure to be some ideal version of myself. I believe that the number one way to be happy is to accept oneself as is. So if I am not feeling up to it, I won’t work out and I will be ok with that. I am happier now and more accepting that I can’t do everything and I have recognized and accepted that I don’t really want to and that is ok too. In the end, we all have our one life and we should feel at the end of it that we lived on our own terms and did not succumb to all of the outside pressures to be “the best.” I am now satisfied with better and happier. Thank you very much for offering your deep insights Arlene. I often think of “retirement” as being a time when I might “do something else”. Right now I have no idea if this is going to the most “productive” time of my life, or one where the lack of pressure leads me to atrophy. Kate! You will never atrophy because you have enough energy and discipline for several people!! I applaud your accomplishments.I think we are wired a certain way and it’s in our natures to be who we are although I do recognize the need to push oneself or we will never get anything done. And I don’t think we atrophy if we are enjoying life–you are someone who does for sure and it shows. Also I was thinking about your Italy/Spain comment as we were in Bilbao this weekend. There is a different vibe in other countries – America above all others, but the UK not far behind – does seem to put so much stress on the striving, and less on the being. I absolutely agree with this. I think Americans work too much because they do not have much of an identity outside of work. Bilbao is lovely. Traveling and seeing the world is lovely too and one of the greatest gifts we can give ourselves.